I have been to Dave’s a few times. 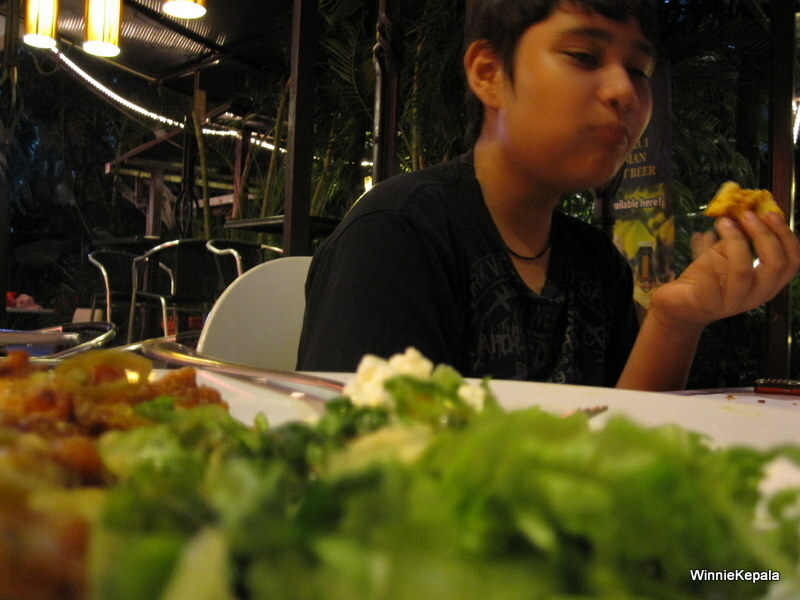 I remember back in the day when One Utama was just the Old Wing and there was a Dave’s Deli and their Chicken Schnitzel was one of my favourites. This (semi) new restaurant is also another spawn of the same owner, however their food is far from the standard deli dishes you’re familiar with. 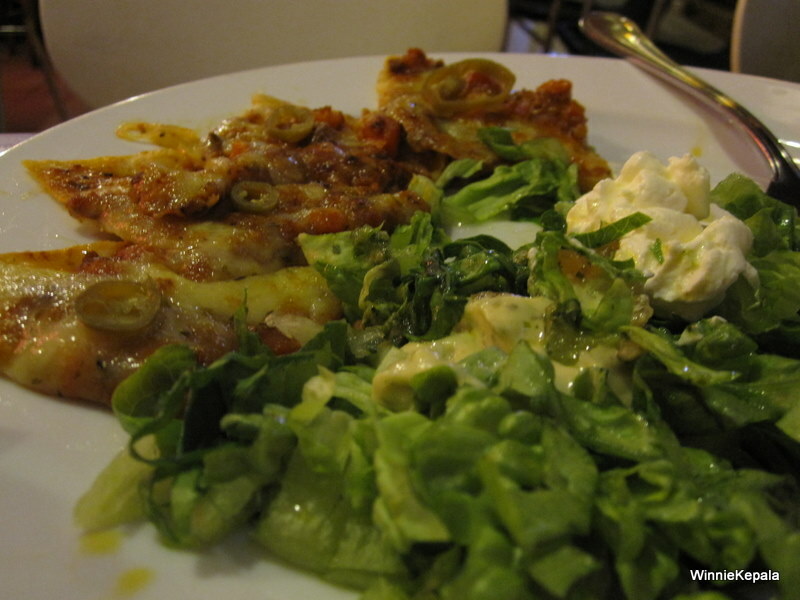 Dave’s serve Italian standards like pizza, pasta, vino, etc. 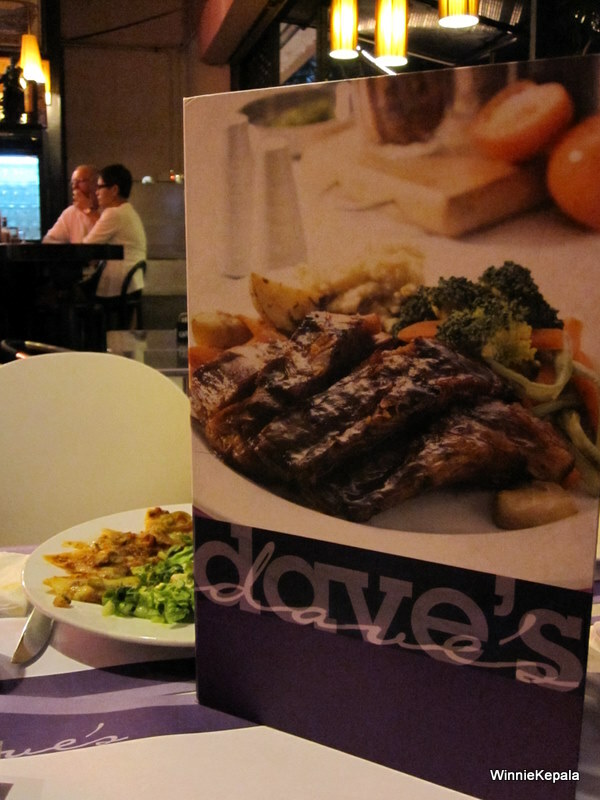 I know that there are enough Italian places around for us to whet our appetites but I love Dave’s for their simplicity and great (non-halal) selections, set amidst a shopping mall!!! Dave’s is located at the Old Wing (er, well… more like at the connection between the Old and New Wing). More accurately though, they’re right opposite TGI Friday’s. No chance of you missing it if you just look for Friday’s. Walking into the restaurant, you’ll see standard tables and chairs and by no means is the restaurant full. I suppose with the bigger chains of Italianni’s around, there is some kind of competition for a small boy like Dave’s. But just when you’re about to dismiss it for another Italian joint, you glance to your left at the open space kitchen counter and you’re met with their delicious looking “Sunday Roast”. 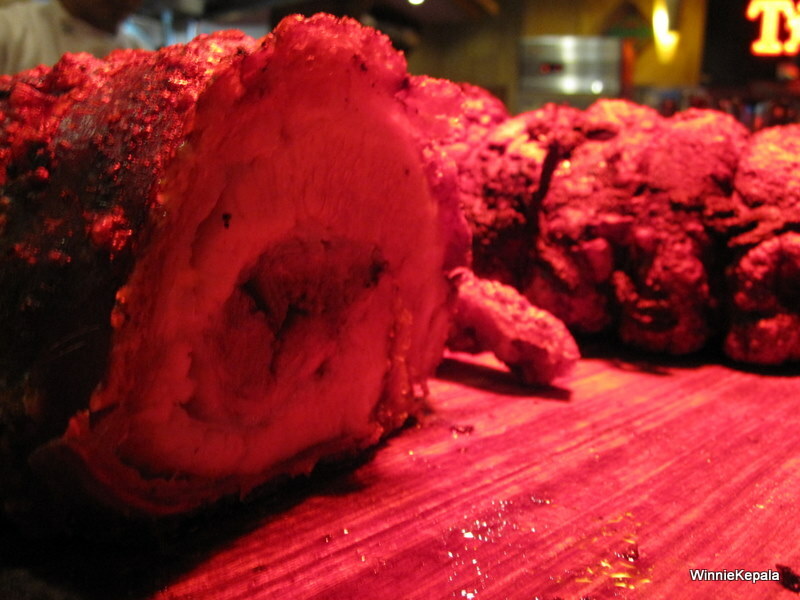 I didn’t Photoshop the picture to make the roast pork look red and bloody – they’ve expertly placed it under a heating red light to keep the “siew yoke” warm and eye-catching!! It certainly caught my eye many times! Even if you’re not a fan of “siew yoke” and prefer carb loaded goodness of a pasta, Dave’s have a healthy selection of different types of pasta with different styles of sauces for your selection. No more standard “tomato based” kiddie food or “cheese loaded” creamy sauces only selection. They have my favourite Aglio Olio (Olive oil) and White wine based sauces as well. I typically enjoy sitting at the back of the restaurant where the bar is. I can chill and smoke freely. Also ordering a Guinness or some alcohol, won’t remind you that you’re in a mall. 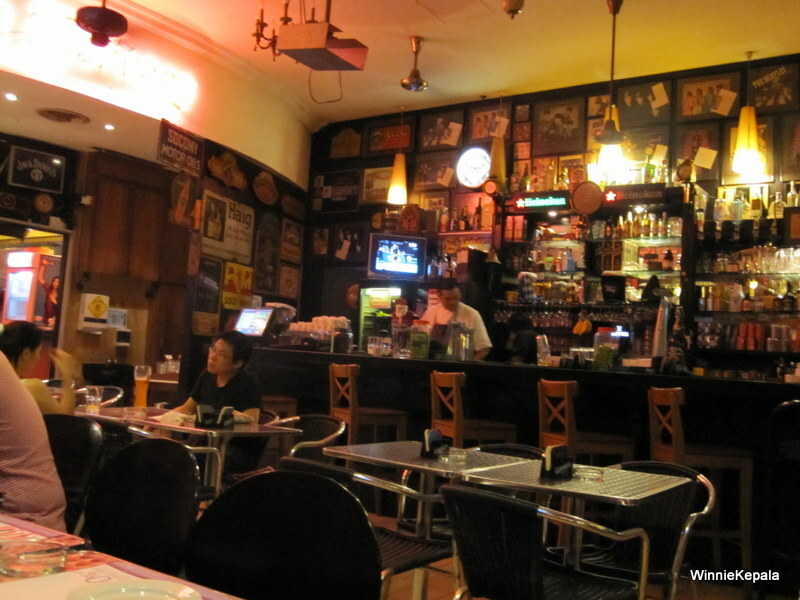 The place is so much like a local pub with good food! The walls are decked like the old Dave’s Deli where you’ll see classic posters and lightboxes. 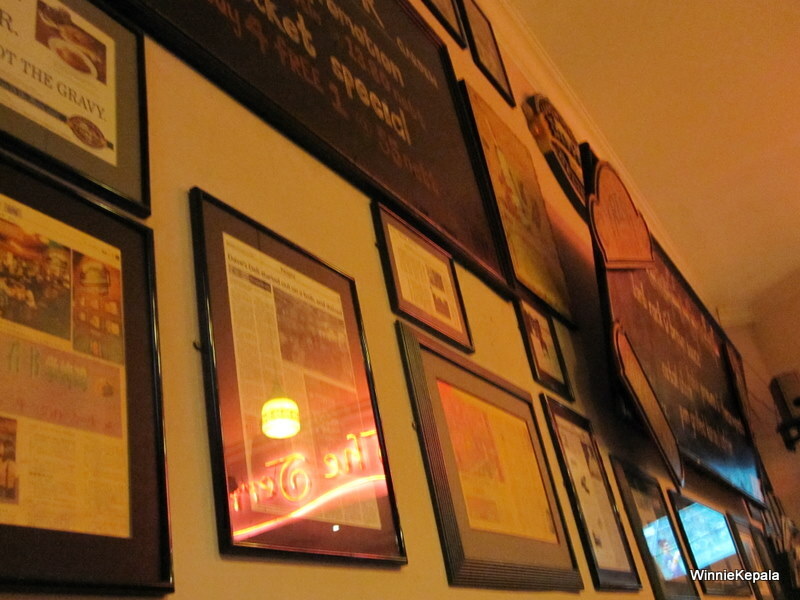 Also filling the walls are newspaper clippings on the accolade’s Dave’s received for their restaurant’s success. I learn quick that the customer favourites are the pizzas and the ribs. I have not tried any of these dishes yet, but it seems other reviews have raved about them. I have, of course, tried their Pork Roast and I must say that they are indeed spectacular. 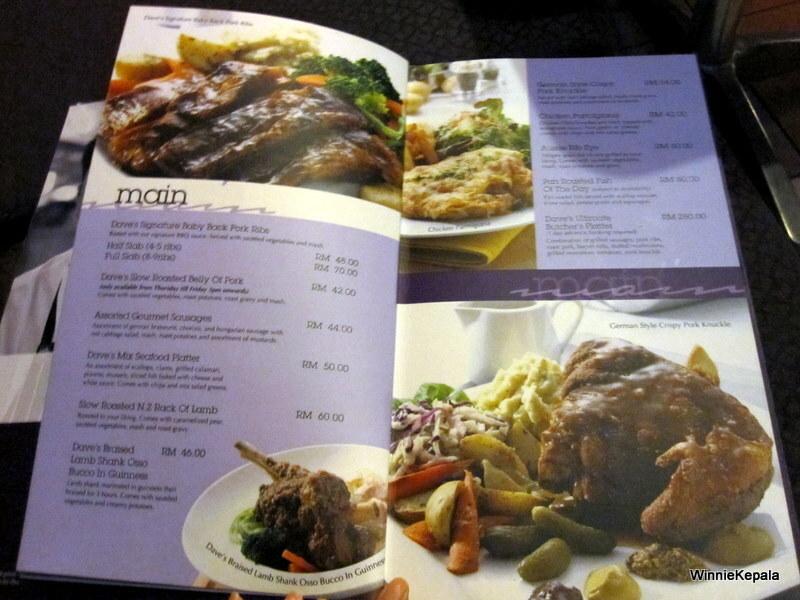 The food portions are generous with appetizers ranging from RM 10 – RM 20 and main courses around the RM 30 range. In my first visit to the restaurant (I was starving), I made the mistake of ordering a starter and a main only for myself. I ended up with a very generous portion of Bacon Bruschetta (which can very well pass of as a main dish) which is really really delicious. I wouldn’t mind making the mistake again if the food was THAT good! My standard affair is usually the Spaghetti Vongole or anything equivalent. Ask anyone who knows me well enough – he/she will let you know that I seem to have an unspoken desire to try all Vongole’s served in the country, almost like I’m on the hunt for the best in town! 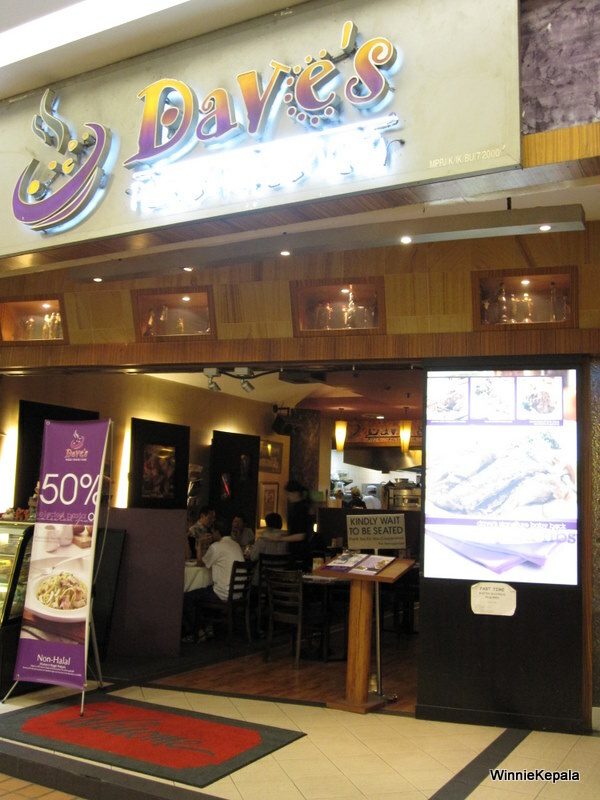 So, when you’re around One Utama one day, stop by at Dave’s and tell me what you think!!! Add : R1-C, The Promenade, 1-Utama Shopping Centre, Bandar Utama, 47800 Petaling Jaya, Selangor, Malaysia. really makes all the hard work worthwhile. Wow. Thanks for checking out my blog.